The U.S. Attorney’s Office for the Middle District of Pennsylvania has announced that Joseph W. Nagle of Deerfield Beach, Florida and Ernest G. Fink, Jr. of Orwigsburg, Pennsylvania, the former owners of Schuylkill Products Inc., (SPI) had their sentences affirmed by the Third Circuit Court of Appeals. Nagle was sentenced to 84 months’ imprisonment on November 30, 2015, and Fink was sentenced to 41 months’ imprisonment on February 24, 2016, for their roles in a massive conspiracy to defraud the U.S. Department of Transportation’s Disadvantage Enterprise (DBE) program. According to USDOT, their scheme, which lasted for over 15 years and involved over $136 million in government contracts in Pennsylvania alone, is the largest reported DBE fraud in the nation’s history. In April 2012, after a four-week jury trial, a jury convicted Nagle on 26 charges relating to the scheme, including conspiracy to defraud USDOT, mail fraud, wire fraud, and money laundering. Fink previously pleaded guilty to conspiracy to defraud the USDOT in August 2010. In 2014, three other former executives associated with SPI were sentenced for their roles in the scheme. Romeo P. Cruz, of Westhaven, Connecticut, the former owner of Marikina Construction Corp., which operated as a front for SPI, was sentenced to 33 months’ imprisonment. Timothy G. Hubler, of Ashland, Pennsylvania, SPI’s former Vice-President in charge of field operations, was sentenced to 33 months’ imprisonment. Dennis F. Campbell, of Orwigsburg, Pennsylvania, SPI’s former Vice-President in charge of sales and marketing, was sentenced to 24 months’ imprisonment. The investigation was conducted by the FBI, USDOT’s Inspector General’s Office, the U.S. Department of Labor Inspector General’s Office, and the Criminal Investigation Division of the IRS. The former chief operating officer and co-owner of now-defunct Schuylkill Products Inc. will spend 10 fewer months in prison, but pay the same fine, after being resentenced Wednesday in federal court in Harrisburg, Pennsylvania for his role in the largest fraud of its kind in U.S. history. Ernest G. Fink Jr., 70, of Orwigsburg, Pennsylvania, must serve 41 months in federal prison and pay $25,100 in fines, Senior U.S. District Judge Sylvia H. Rambo ruled. Rambo originally sentenced Fink on July 14, 2014, to 51 months in prison and $25,100 in fines after he pleaded guilty to participating in Schuylkill Products’ scheme to defraud the federal Disadvantaged Business Enterprise (DBE) program. Federal prosecutors charged Fink and several other Schuylkill Products executives with using Marikina Engineers and Construction Corp., West Haven, Connecticut, as a front under the DBE program from 1993 until 2008 to funnel work to the Cressona company and its wholly owned subsidiary, CDS Engineers Inc. 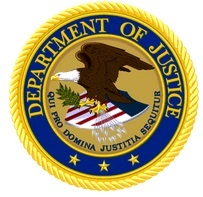 The Department of Justice (DOJ) has announced that Wisconsin-based Novum Structures, LLC (Novum) has agreed to enter a guilty plea and pay $3 million to resolve its criminal and civil liability arising from its improper use of foreign materials on construction projects involving federal funds. This use was in violation of contractual provisions implementing various domestic preference statutes, often referred to colloquially as the “Buy America” requirements. Novum specializes in the design and construction of glass space frames often used in roofs and atrium enclosures. The agreement resolves a criminal Information alleging that Novum repackaged materials and falsified documents relating to some federally funded construction projects in order to hide that it was using noncompliant foreign materials. According to an agreement reached with the government, Novum will plead guilty to one count of concealing a material fact, in violation of 18 U.S.C. § 1001, and pay a $500,000 criminal fine. In addition to the criminal fine, Novum has agreed to pay $2.5 million to resolve civil allegations under the False Claims Act that its conduct caused the submission of false claims for payment. Specifically, the civil settlement resolves allegations that Novum caused false claims by knowingly – and in violation of its contractual obligations – using noncompliant foreign materials on several federally funded construction projects from Jan. 1, 2004 through July 11, 2013. Construction projects funded by the U.S. government are generally subject to laws requiring the use of domestic materials, such as the Buy American Act; the Federal Transit Administration’s Buy America provision; and § 1605 of the American Recovery and Reinvestment Act. The contracts involved in this case covered both government buildings and transit projects partially paid for with federal funds. As part of the settlement agreement, Novum has agreed not to contest debarment from federally-funded projects. The allegations resolved by the civil settlement were originally brought by whistleblower Brenda King under the qui tam, or whistleblower, provisions of the False Claims Act. The act permits private parties to sue on behalf of the government those who falsely claim federal funds. The act also allows the whistleblower to receive a share of any funds recovered through the lawsuit. King will receive approximately $400,000 as her share of the civil settlement. The U.S. Attorney’s Office for the Eastern District of Wisconsin prosecuted the criminal case, and also jointly handled the civil lawsuit with the Civil Division’s Commercial Litigation Branch. Investigative assistance was provided by the Department of Transportation’s Office of Inspector General, the General Services Administration’s Office of Inspector General and the Defense Criminal Investigative Service, with additional support from other agencies. The lawsuit is captioned United States ex rel. King v. Novum Structures, LLC, Case No. 12-cv-860 (E.D. Wis.). The claims resolved by the civil settlement are allegations only; there has been no determination of liability except to the extent admitted in Novum’s plea agreement. Granite Construction, Incorporated (Granite), a nationwide construction and public works company that is publicly traded on the New York Stock Exchange, has entered into a non-prosecution agreement and agreed to pay more than $8 million to the federal government and the Metropolitan Transportation Authority Office of Inspector General (MTA-IG) to resolve a criminal investigation into a disadvantaged business enterprise (DBE) fraud scheme perpetrated by Granite’s wholly-owned subsidiary, Granite Construction Northeast, Incorporated (GCN), previously known as Granite Halmar Construction Company, Incorporated. In addition, Granite will provide continuing cooperation to the government and maintain far-reaching corporate reforms. Pursuant to the non-prosecution agreement signed on November 24, 2015, Granite acknowledged and accepted responsibility for a DBE fraud scheme related to GCN’s work on a contract for the MTA that involved the construction of a bus depot in Maspeth, Queens, NY (the Project). The Project was largely federally funded. The investigation revealed that GCN served as the prime contractor on the Project after being awarded the prime contract for the job by the MTA, a contract for which GCN was ultimately paid approximately $222 million. 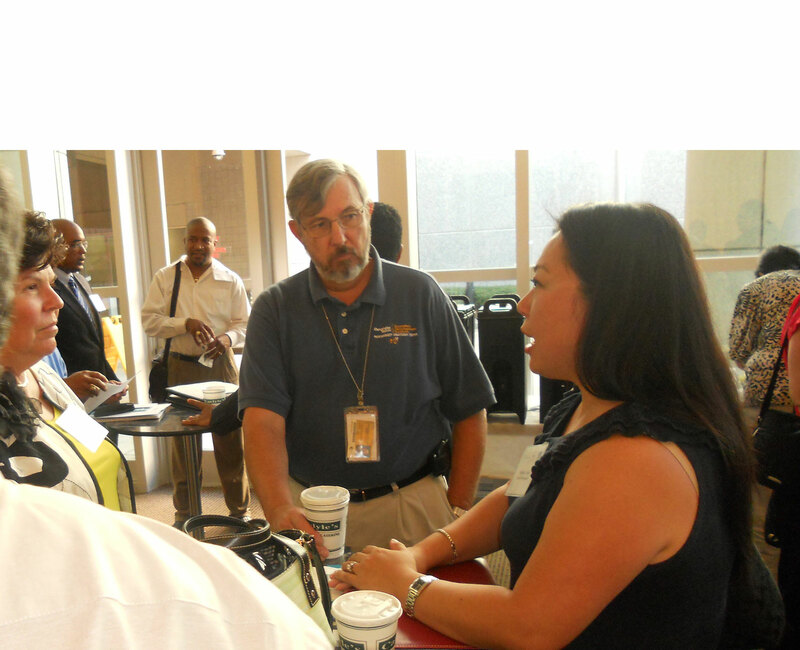 The contract required GCN to comply with the Disadvantaged Business Enterprise Program (the DBE program). Pursuant to that program, as the prime contractor, GCN was obligated to make good faith efforts to subcontract a specified percentage of work on the prime contract to certain disadvantaged business enterprises (DBE companies). (c) GCN would pay the front company a $500,000 “DBE fee,” although the front company would not perform a “commercially useful function” on the specified work, as required by state and federal regulations. As the front companies performed the specified work, GCN submitted to officials from the MTA, as required, periodic progress reports that purported to represent the percentage of work performed by DBE companies on the prime contract. From 2004 through approximately 2008, GCN falsely represented in those reports that the front company had performed a “commercially useful function” in performing thespecified work, when in fact, the specified work had actually been performed by the actual companies, and the front company had not performed any such commercially useful function. (In August 2013, one of the actual companies, A.J. McNulty & Company, also entered into a non-prosecution agreement with the United States Attorney’s Office for the Eastern District of New York to resolve a criminal investigation into the same scheme. Under the terms of that agreement, A.J. McNulty agreed to forfeit $850,000 to the federal government and pay $100,000 to the MTA-IG.) As a result, GCN deprived the MTA of its rights under the prime contract and deprived legitimate DBE companies of the opportunity to perform the specified work and be paid for it. In light of a comprehensive internal investigation conducted by Granite, Granite’s complete acceptance of responsibility for GCN’s unlawful conduct, Granite’s cooperation with the government, the fact that the GCN employees most responsible for GCN’s unlawful conduct were separated from GCN and Granite years before the government’s investigation began, and Granite’s far-reaching remedial measures, including site visits by compliance program staff and mandatory training for appropriate Granite managers and employees, the government has agreed not to prosecute Granite or GCN for GCN’s criminal conduct provided that Granite complies for two years with all the terms of the agreement executed today. Significantly, this agreement also secures civil forfeiture to the federal government of $7.25 million in connection with this fraud, as well as a payment of $1 million to the MTA-IG. “GCN defrauded the MTA by falsely claiming that millions of dollars worth of construction work was performed by a DBE company. Today’s resolution marks a significant step in our continued effort to eliminate DBE fraud in New York’s construction industry and also recognizes Granite’s decision to timely accept full responsibility, provide complete cooperation, and take remedial measures to enforce best industry practices,” stated U.S. Attorney Capers. Mr. Capers thanked the investigative agencies for their outstanding commitment and dedication over the course of this investigation. “Today’s announcement clearly reflects the firm commitment by our Office and our investigative and prosecutorial partners to utilize all avenues to ensure compliance with DBE requirements and to create and maintain a level playing field on which all qualified DBEs have a fair and equal opportunity to bid for and participate in all MTA projects. We will continue to direct our energies and share of settlement proceeds to support the MTA Small Business Development Program and other productive efforts to expand opportunities for disadvantaged business enterprises,” stated Inspector General Kluger. “Reporting that work was performed by a DBE company involved manipulating American workers and processing their pay through a front company in order to conceal the fraud. We will continue to work with our law enforcement partners to protect contract opportunities for legitimate disadvantaged businesses,” stated Special Agent-in-Charge Garcia of the New York Regional Office, U.S. Department of Labor – Office of Inspector General, Office of Labor Racketeering and Fraud Investigations. The U.S. Attorney’s Office for the Middle District of Pennsylvania announced on January 13, 2014 that Dennis F. Campbell, of Orwigsburg, Pennsylvania, and Timothy G. Hubler, of Ashland, Pennsylvania, were sentenced by the Senior U.S. District Judge Sylvia H. Rambo in Harrisburg in connection with their roles in what the U.S. Department of Transportation (USDOT) has called the largest Disadvantaged Business Enterprise (DBE) fraud in the nation’s history. Campbell, Schuylkill Product’a Inc.’s (SPI) former vice president in charge of Sales and Marketing, was sentenced to 24 months’ imprisonment, $119 million in restitution to the USDOT, and two years’ supervised release. Hubler, SPI’s former vice president in charge of Field Operations, was sentenced to 33 months’ imprisonment, $119 million in restitution to the USDOT, $82,370 in restitution to the Internal Revenue Service, and two years’ supervised release. Both men were ordered to surrender to the Bureau of Prisons by February 17, 2014, to commence service of their sentences. Campbell pleaded guilty to DBE fraud in 2008, and Hubler pleaded guilty to DBE fraud and tax fraud in 2008. Romeo P. Cruz, of West Haven, Connecticut, the former owner of Marikina Construction Corporation, the DBE firm that operated as a front for SPI to gain lucrative DBE contracts, pleaded guilty to DBE fraud and tax fraud in 2008 and 2009, and is scheduled to be sentenced on Wednesday, January 15, 2014. All three men cooperated with the government’s investigation that led to the conviction of the two former owners of SPI, Ernest G. Fink, of Orwigsburg, Pennsylvania, SPI’s former vice president and chief operating officer; and Joseph W. Nagle, of Deerfield Beach, Florida, SPI’s former president and chief executive officer. Fink pleaded guilty to DBE fraud in 2010. Nagle was convicted after a four-week jury trial in 2012 of 26 charges relating to the DBE fraud scheme. No sentencing date has been scheduled for Fink and Nagle. 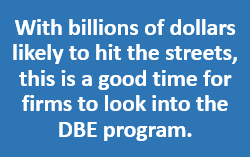 According to U.S. Attorney Peter J. Smith, the DBE fraud lasted for over 15 years and involved over $136 million in government contracts in Pennsylvania alone. SPI, using Marikina as a front, operated in several other states in the Mid-Atlantic and New England regions. Although Marikina received the contracts on paper, all the work was really performed by SPI personnel, and SPI received all the profits. In exchange for letting SPI use its name and DBE status, Marikina was paid a small fixed-fee set by SPI. The scheme lasted as long as it did because of the numerous fraudulent steps the co-conspirators took to conceal the scheme. SPI personnel routinely pretended to be Marikina personnel by using Marikina business cards, e-mail addresses, stationery, and signature stamps, as well as using magnetic placards and decals bearing the Marikina logo to cover up SPI’s logo on SPI vehicles. SPI and its wholly owned subsidiary, CDS Engineers, was sold in 2009 and was based in Cressona, Pennsylvania. SPI manufactured concrete bridge beams, as well as other suppliers’ products. CDS was SPI’s erection division and installed SPI’s bridge beams, as well as other suppliers’ products. USDOT provides billions of dollars a year to states and municipalities for the construction and maintenance of highways and mass transit systems on the condition that small businesses owned and operated by disadvantaged individuals receive a fair share of these federal funds. The DBE fraud here involved SPI’s use of Marikina’s name and status to obtain DBE contracts that it was not entitled to receive. The investigation was conducted by the FBI, the USDOT Inspector General’s Office, U.S. Department of Labor Inspector General’s Office, and the Criminal Investigation Division of the Internal Revenue Service. Senior Litigation Counsel Bruce Brandler handled the prosecution. The United States Attorney’s Office for the Middle District of Pennsylvania has announced that Joseph W. Nagle, of Deerfield Beach, Florida, was convicted after a four-week jury trial before Senior United States District Court Judge Sylvia H. Rambo in Harrisburg. Late Thursday, the jury returned a verdict of guilty on 26 of 30 charges in the indictment including conspiracy to defraud the United States Department of Transportation (USDOT) and commit wire and mail fraud, 11 counts of wire fraud, six counts of mail fraud, conspiracy to commit money laundering, and 11 counts of money laundering. 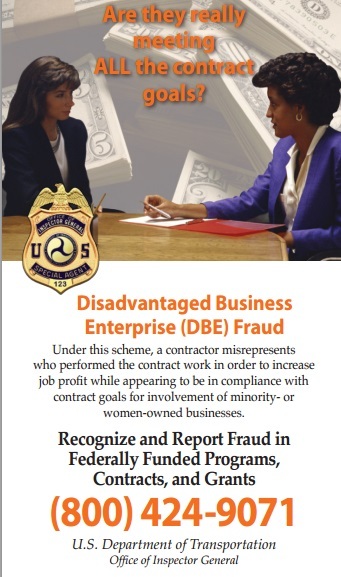 According to the U.S. Department of Transportation, this scheme, which lasted for over 15 years and involved over $136 million in government contracts, is the largest reported Disadvantaged Business Enterprise (DBE) fraud in the nation’s history. According to United States Attorney Peter J. Smith, Mr. Nagle faces up to five years’ imprisonment on the conspiracy count; up to 20 years’ imprisonment on each of the wire and mail fraud counts; up to 10 years’ imprisonment on the money laundering conspiracy and each of the money laundering counts of conviction; and $250,000 in fines and mandatory restitution on each of the convictions. Nagle was acquitted on four counts of wire fraud. No date has been set for sentencing. Mr. Nagle was president, chief executive fficer and part-owner of Schuylkill Products Inc. (SPI) and its wholly-owned subsidiary CDS Engineers Inc. (CDS) until April 2009, when SPI was sold. SPI was based in Cressona, Pennsylvania and manufactured concrete bridge beams used on highway construction projects in Pennsylvania and surrounding states. CDS was SPI’s erection division and installed SPI’s bridge beams, as well as other suppliers’ products, on highways in Pennsylvania and surrounding states. Mr. Nagle was convicted of joining an on-going 15-year conspiracy to defraud USDOT, the Pennsylvania Department of Transportation (PennDOT), and the Southeastern Pennsylvania Transportation Authority (SEPTA) in connection with the federal government’s DBE program when he became president in April 2004. USDOT provides billions of dollars a year to states and municipalities for the construction and maintenance of highways and mass transit systems on the condition that small businesses, owned and operated by disadvantaged individuals, receive a fair share of these federal funds. In Pennsylvania, PennDOT and SEPTA receive these funds and they require contractors to award a percentage of their subcontracts to eligible DBEs. Mr. Nagle was convicted of participating in the scheme, which ran from 1993 to 2008, where he and other executives at SPI diverted over 300 PennDOT and SEPTA construction contracts to SPI and CDS that were reserved for DBEs. Mr. Nagle and his co-conspirators executed the scheme by using a small Connecticut highway construction firm known as Marikina Construction Corporation as a front company to obtain these lucrative government contracts. Marikina was owned by Romeo P. Cruz, of West Haven, Connecticut, a naturalized American citizen born in the Philippines. Marikina was certified by PennDOT and SEPTA as a DBE. Although Marikina received the DBE contracts on paper, all the work was performed by SPI and CDS personnel, and SPI and CDS received all the profits. In exchange for letting SPI and CDS use its name, Marikina was paid a small fixed-fee, set by SPI. The scheme was carried out for over 15 years because of the numerous fraudulent steps the co-conspirators took to conceal the scheme. SPI and CDS personnel routinely pretended to be Marikina employees by using Marikina business cards, e-mail addresses, stationery, and signature stamps, as well as using magnetic placards and decals bearing the Marikina logo to cover up SPI and CDS logos on SPI and CDS vehicles. Romeo P. Cruz, the former owner of Marikina, pleaded guilty to conspiracy and tax fraud charges in 2008 and 2009. Ernest G. Fink, of Orwigsburg, Pennsylvania, SPI’s former vice-president, chief operating officer, and owner, pleaded guilty to conspiracy in 2010. Timothy G. Hubler, of Ashland, Pennsylvania, CDS’ former vice-president in charge of field operations, pleaded guilty to conspiracy and tax fraud charges in 2008. Dennis F. Campbell, of Orwigsburg, Pennsylvania, SPI’s former vice-president in charge of sales and marketing pleaded guilty to conspiracy charges in 2008. All four testified during the Nagle trial and await sentencing. The investigation was conducted by the FBI, the U.S. Department of Transportation Inspector General’s Office, the U.S. Department of Labor Inspector General’s Office, and the Criminal Investigation Division of the IRS. Senior Litigation Counsel Bruce Brandler and Assistant United States Attorney Kim Douglas Daniel handled the prosecution. — from an FBI News Release issued Apr. 6, 2012 at http://www.fbi.gov/philadelphia/press-releases/2012/former-president-and-owner-of-schuylkill-products-convicted-in-largest-disadvantaged-business-enterprise-fraud-in-nations-history.